The company revealed the change in a statement to local media such as China Money Network. 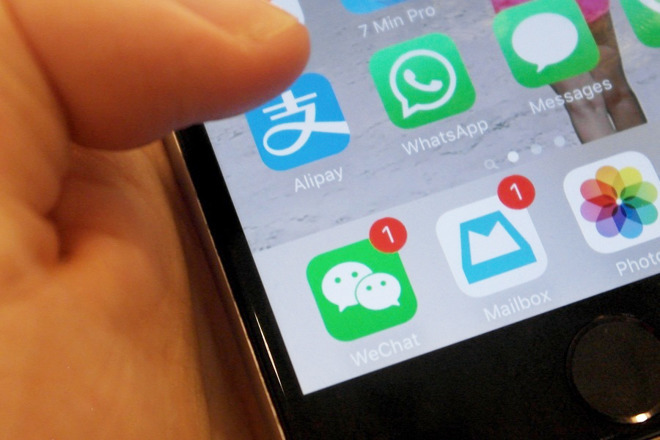 WeChat Pay is related to the main WeChat messaging app, and has become one of the most-used mobile payment options in China. The leader is Alibaba's Alipay, which controls over half the Chinese market. Apple has been accepting Alipay since Oct. 2016. Apple Pay first came to China in February last year, and but still represents less than 1 percent of the country's mobile transactions. That's likely because of the established dominance of Alipay and WeChat, but also because Apple Pay works only with Apple devices, and the iPhone is sitting in fifth place in the Chinese smartphone market. Local smartphone makers such as Huawei and Oppo have been able to offer cheaper alternatives. A new iPhone can easily cost more than some Chinese workers' monthly salaries, putting it out of reach.